Make sure your baby Princess looks as cute as a button in this pretty peter-pan collar Christmas baby-grow. 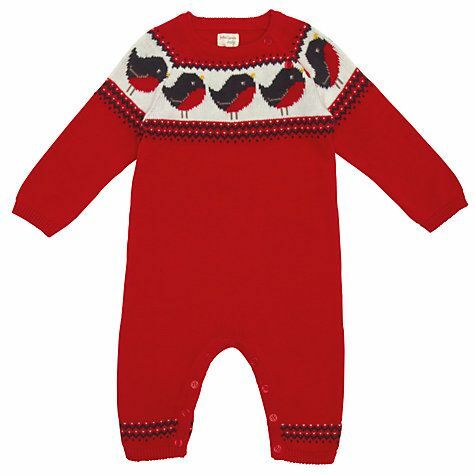 Lovely Christmas, Red romper with Robin pattern around the neck and shoulders. 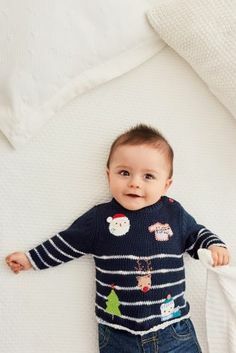 Baby jumper featuring Santa, Rudolf, Christmas tree and snowman. Soft handle jersey denim fabric. Main 85% cotton 13% polyester 2% Lycra® elastane. Lining 65% polyester 35% cotton. 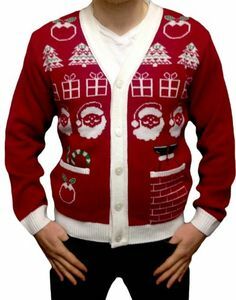 This cardigan has got it going on when it comes to being festive! Wear open with a crisp while maternity T shirt to show of your burgeoning bump.